TUESDAY, May 29, 2018 (HealthDay News) -- Migraine sufferers could soon turn to a number of new medications to avoid their crippling headaches. Earlier this month, the U.S. Food and Drug Administration approved Aimovig (erenumab), the first migraine prevention drug ever developed. On its heels comes a successful trial of the migraine prevention drug galcanezumab. Galcanezumab cut in half the number of days that most patients suffered from a migraine in a month, and did so without significant side effects, researchers reported. "In contrast to what we currently have available to prevent migraine, they seem very well tolerated," said study co-author Dr. David Dodick, a neurologist with the Mayo Clinic in Phoenix, Ariz. "There are no unique side effects to these treatments." Dodick expects that both galcanezumab and a third migraine prevention drug will be approved by the FDA in the coming months. "I expect that, barring any unforeseen issues, there will be two more antibodies approved in 2018," Dodick said, adding that an additional drug delivered by IV should be ready in 2019. This could be good news for cost-conscious migraine patients, said Dr. Noah Rosen, director of Northwell Health's Headache Center, in Great Neck, N.Y. Right now, the estimated cost of Aimovig is $7,000 a year, a price it can ask as the only approved drug on the market, according to published reports. "We do hope that competition drives pricing because, as a specialist, that's one of our greatest fears, as to whether we're now going to have what seems to be an effective treatment that we can't actually give to anyone," Rosen said. "Hopefully, more medications on the market will provide that accessibility." Both Aimovig and galcanezumab are injectable antibodies that target calcitonin gene-related peptide (CGRP), a signaling protein that has been linked to migraine and cluster headaches. Aimovig targets the pain receptor that CGRP activates, but galcanezumab targets the CGRP protein itself, Dodick explained. "It's the protein that activates the receptor. Once the key fits into the lock, you open the door to pain transmission," Dodick said. "You can't open the door without having the key or opening the lock." The galcanezumab trial involved 858 patients who were randomly assigned to receive monthly doses of either the drug or an inactive placebo. 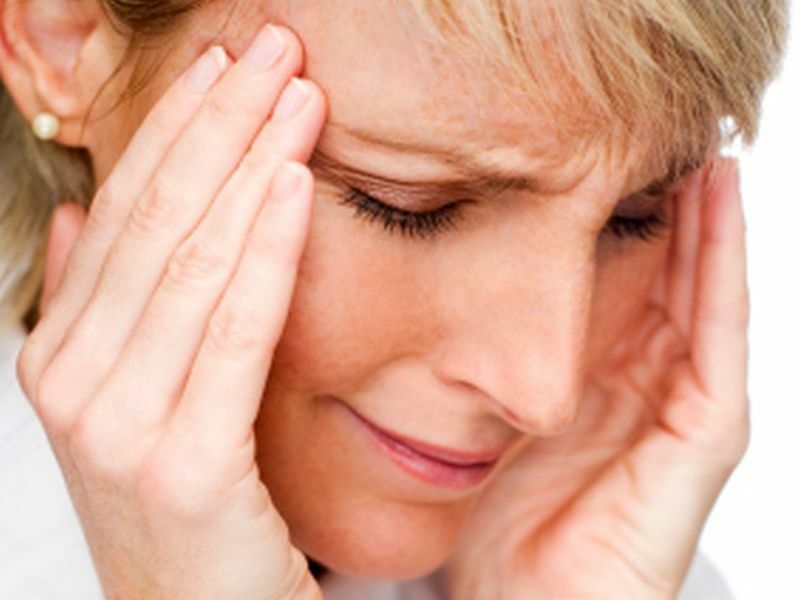 To be included, people had to have a history of four to 14 migraines per month. Patients who received galcanezumab had their number of monthly migraine days reduced by 4.7 days, on average, compared with 2.8 days for those who received a placebo, according to the report. Side effects were so minimal that fewer than 5 percent of patients dropped out of the trial, a rate "really unheard of and not really seen before in migraine prevention studies," Dodick said. The findings were published online May 29 in JAMA Neurology. The real promise of these drugs comes in their breadth of potential use, Rosen said. Right now, doctors have to tailor their migraine prevention strategies to the specific health issues of each patient, as well as whether they suffer occasional or frequent headaches, he explained. "One of the big advantages of this new class is they seem to work regardless of whether the migraine is intermittent or chronic," Rosen said. "We don't have to split hairs with trying to define the frequency of the headache. It becomes easier to prescribe an appropriate preventative treatment."